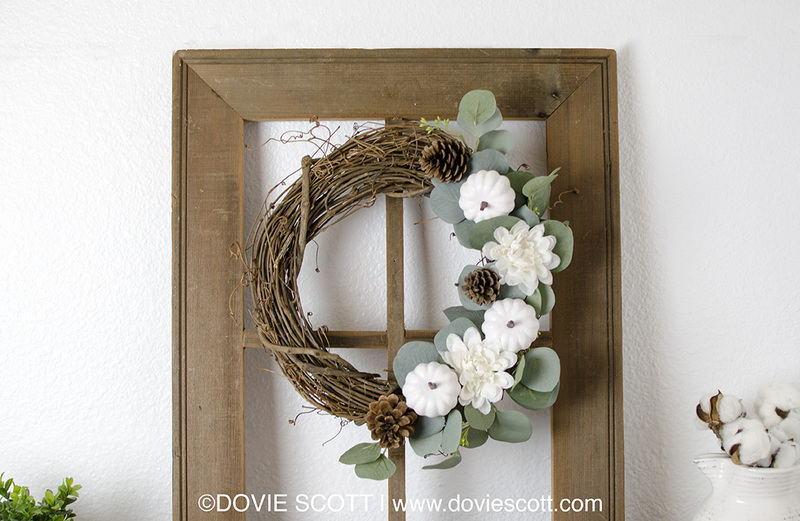 My goodness I am really excited to show you how to make this gorgeous neutral fall wreath. I love how the white pumpkins and flowers stand out against the eucalyptus leaves. 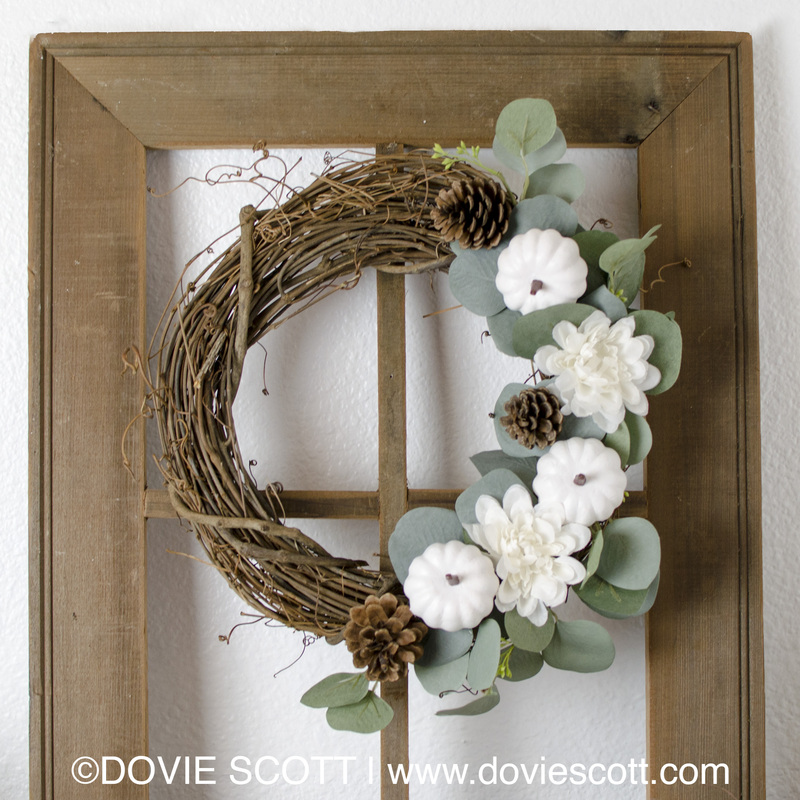 Eucalyptus is very popular right now in farmhouse decor. Summer is winding down and Fall is just around the corner. Fall is my most favorite season of all. Even though I live in Florida and it’s still pretty hot, it’s just not the sweltering, take your breath away hot. You know the type that causes you to produce a full on sweat just walking to your mail box. Yeah, that’s Summer in Florida, so I welcome fall with open arms. Also, the smell in the air changes, evenings are cooler and I find most of my reminiscing happens in Fall. 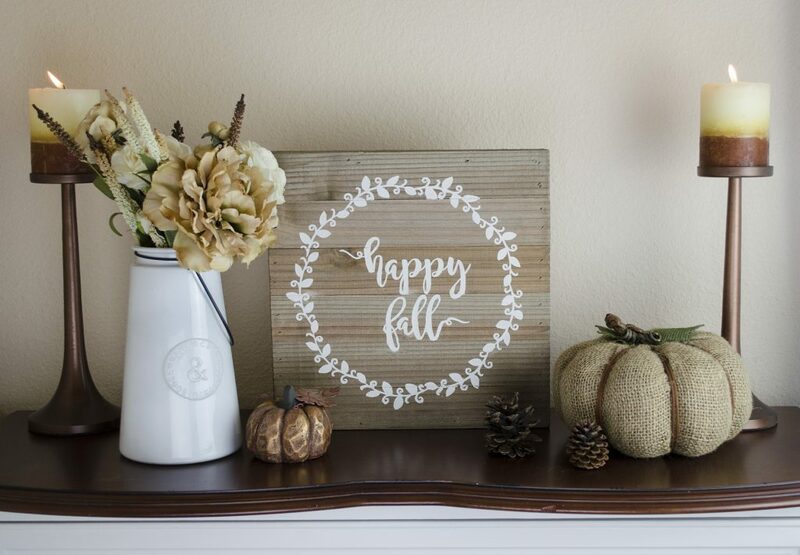 With Fall comes the need to decorate my home with all kinds of “Fallish” things. 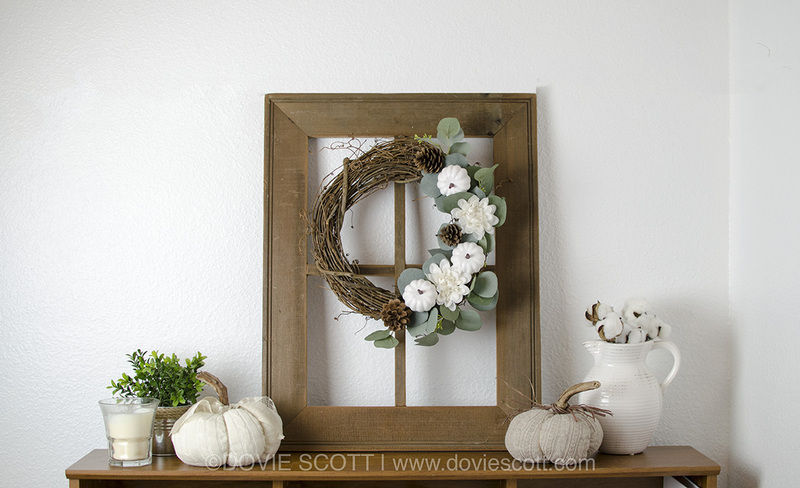 I still follow a neutral color scheme even in fall and I really love the rustic farmhouse / rustic chic style. This means any of the decor I choose or make will be that type of style. Since I love crafting I thought I would get to crafting! 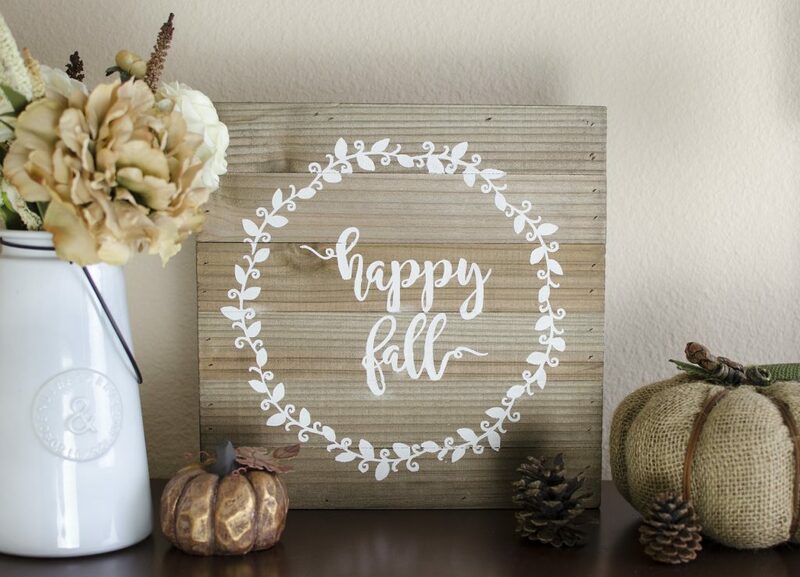 My first “Fall” project is this rustic farmhouse Happy Fall sign. I just love how it turned out. 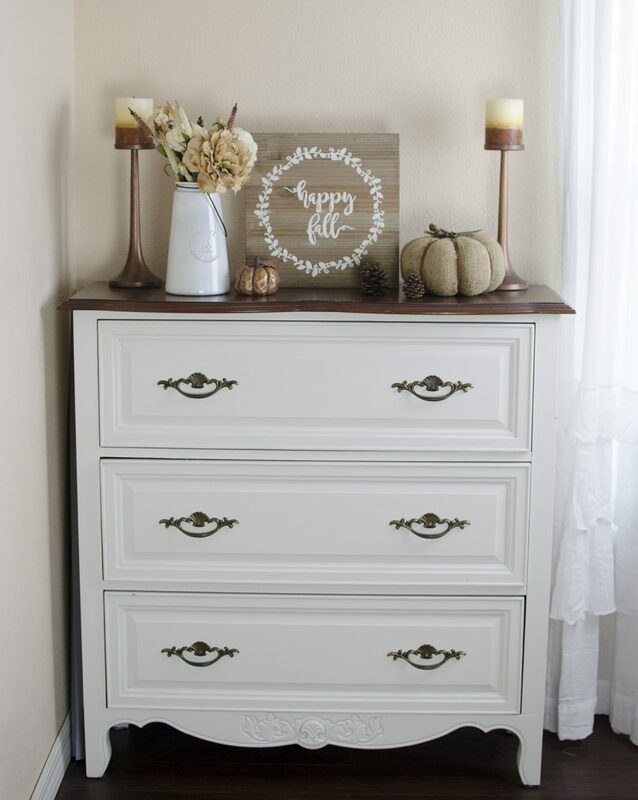 It’s perfectly imperfect and I think it looks great on top of my freshly painted storage drawer dresser. 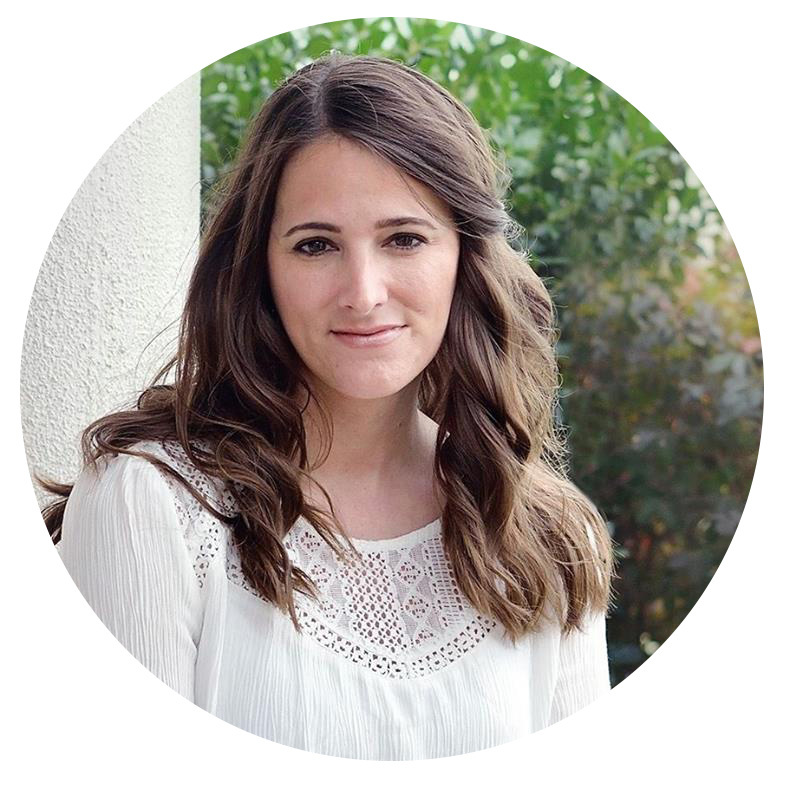 Per usual I have put together a video on how I made it and I hope you enjoy watching it! You can click here or watch below. If you are interested in a tutorial on how I made my Silhouette file to cut my vinyl stencil, then comment on here or on the video.